Business operators have an optimistic outlook on the country`s GDP in 2019, thanks to the upcoming general election, implementation of the Eastern Economic Corridor (EEC) and the coronation ceremony for His Majesty the King. Kalin Sarasin, chairman of the Thai Chamber of Commerce, said the election time frame is expected within 150 days, with a deadline of May 9, and the government has promised an election by that date. "The election is a key factor to boost overall investor confidence and stimulate the Thai economy in 2019," Mr Kalin said after presiding over the monthly meeting of the Joint Standing Committee on Commerce, Industry and Banking (JSCCIB). "State budget disbursement can proceed without any obstacles before the election." He said the coronation ceremony during May 4-6 will create joyful sentiment. "These positive factors will increase the country`s GDP, putting Thais in a good mood," Mr Kalin said. 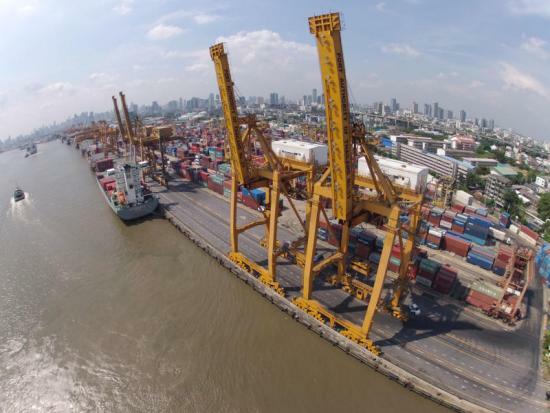 The JSCCIB projects Thai GDP in 2019 to grow by 4-4.3%, with inflation staying in the range of 0.8-1.2%. The country`s exports stand at 5-7% growth, driven by shipments of industrial and agricultural products. The tourism sector continues to suffer from a decline in Chinese arrivals. In 2018, overall tourist arrivals to Thailand reached 38.12 million people, up 7.1% year-on-year. Mr Kalin said business operators will monitor the global economy for international political issues, the Brexit situation and the US-China trade war, as the world faces myriad risks posing headwinds to many countries, including Thailand. Mr Kalin said 2019 will also see the full-year implementation of the flagship EEC scheme. All related infrastructure in the three EEC provinces has a clear-cut direction to speed up projects. The government is promoting 12 targeted industries under the S-curve policy in a bid to attract new investment in higher technology in Thailand`s industrial sector. "Thailand has been in the spotlight among foreign investors," Mr Kalin said. "For example, French companies are very keen on expanding business presence in the EEC and developing the aerospace industry. We believe Thailand can be the aviation hub for Southeast Asia and our local skilled labourers have the capabilities to meet the requirements of S-curve industries." Thailand has roughly 40 suppliers making aviation parts to serve giant aerospace companies. The JSCCIB expects new companies to join the segment soon. Mr Kalin said aviation companies are calling for the government to set up a support unit to assist foreign companies in identifying and contacting local officials.